Happy Equinox! The equinox time is perfect for setting expansive intentions for new fortune, wisdom, awareness, and beneficial growth, all concepts that connect with the planet Jupiter in astrology. Like many, I have had Jupiter on my mind as it has been one of the brightest and most beautiful celestial objects to behold in the night sky in recent months. Plus, with all the talk of intensity, fear, and warning around the upcoming Cardinal Grand Square from the astrological community, Jupiter being in the sign of Cancer has consistently been the most positive aspect of the grand cross astrologers have been focusing on, no matter what school of thought they are coming from. From a transpersonal and personal perspective, it is extraordinary that Jupiter in Cancer has ended up being in opposition to Pluto in Capricorn and in square to Uranus in Aries for so long, through a Venus, Mercury, and Mars retrograde. Before delving further into Jupiter, I want to point out the fact that there is a strong seventh harmonic occurring right now. 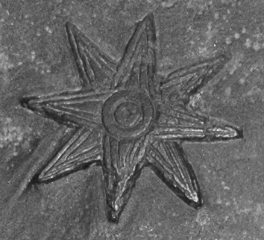 The image of the seven-pointed star above is what a seventh harmonic would look like if one occurred between the seven traditional wanderers. Last night, I attended a talk by Olympian astrologer Rosie Finn in which she made me aware that there will also be a strong seventh harmonic initiating the upcoming eclipse season of April, with Venus eclipsing Neptune in Pisces on April 11 and forming a seventh harmonic with Saturn in Scorpio, Pluto in Capricorn, and the South Node of the Moon in Aries. We do not need to wait for April to experience a seventh harmonic transit, however, as there is currently a strong seventh harmonic occurring that includes the conjunction of Mercury and Neptune in Pisces that will only last for the next few days. This is especially magical because Mercury was last conjunct Neptune at the beginning of February 2014 when it stationed retrograde, at that time forming a strong seventh harmonic that I referenced in this article I wrote on the Mercury retrograde (and there is also a chart drawn by Rosie included so you can see the 7th Harmonic). Seventh harmonics are about reception and descent of magical, creative, other worldly information, illumination, and insight. They are made up of septiles (51.5 degrees), bi-septiles (103 degrees) and tri-septiles (154 degrees) and are often not even calculated or focused on by some astrologers. This relative lack of attention and acknowledgement of the seventh harmonic (in comparison to other harmonics like the fourth) is fitting for its strange energy that is outside the realm of “ordinary” reality. At the moment, a strong seventh harmonic is happening integrating the conjunction of Mercury and Neptune in Pisces around 7 degrees, Saturn in Scorpio around 23 degrees, and Pluto in Capricorn around 14 degrees. The totality of these planetary and zodiac sign archetypes suggest some aspect of our authentic self and deep soul nature being available for us to receive at this time, an illumination of aspects of our essential self that we have either repressed, left behind, or lost contact with in some way. Our task will be to find a way to integrate the mystical seventh harmonic perceptions that correlate with the current Mercury and Neptune conjunction in Pisces that follows a very significant Mercury retrograde cycle. Mercury is leaving his retrograde shadow zone at this time, just as a new season begins with an equinox, and so we can begin to initiate choices in our daily life to align ourselves to a greater extent with the new awareness of our Self in these past couple of months. This does not have to be stressful- this integration could even come through a restful, reflective, or mindful state of being. However, as Pluto in Capricorn is involved in a hard t-square at this time with Uranus in Aries and Jupiter in Cancer, we may also have to work on integrating our magical perceptions in an atmosphere of tremendous change in which other people in our surroundings may seem stressed out or caught up in strife. In connection with Jupiter, in the next week a bi-septile aspect will occur between Jupiter in Cancer and Mars retrograde in Libra, linking the seventh harmonic to Jupiter as well. This is an auspicious sign for the Mars retrograde in Libra because Mars is calling for more of an internal movement of our desire and will at this time in the direction of our soul and self, more so than an outward direction of desire into action coming out from our soul. Both our inner relationship with our self as well as our outer relationships with others at this time will be full of countless lessons to learn about our essential and authentic self. 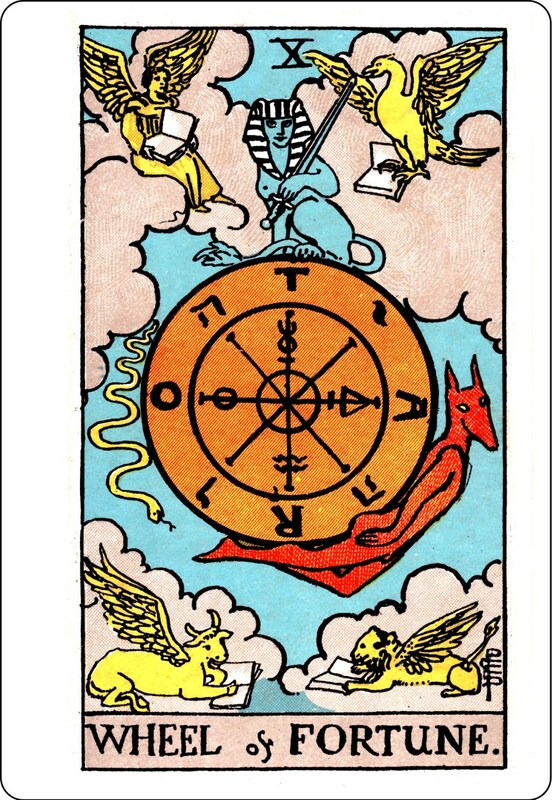 The X WHEEL OF FORTUNE card has been traditionally linked to Jupiter and correlates with expansive events and experiences that feel fated or destined, bringing fortune for good or bad. 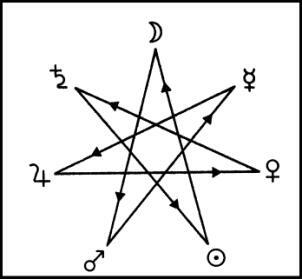 In the image from the Waite deck above we see what look like the four fixed signs of the zodiac with wings (Taurus, Leo, Scorpio, Aquarius), and while there is some variance of interpretation I prefer the analysis that the four fixed symbols represent the four royal stars of Persia: Aldebaran (Archangel Michael), Fomalhaut (Archangel Gabriel), Antares (Archangel Oriel), and Regulus (Archangel Raphael). 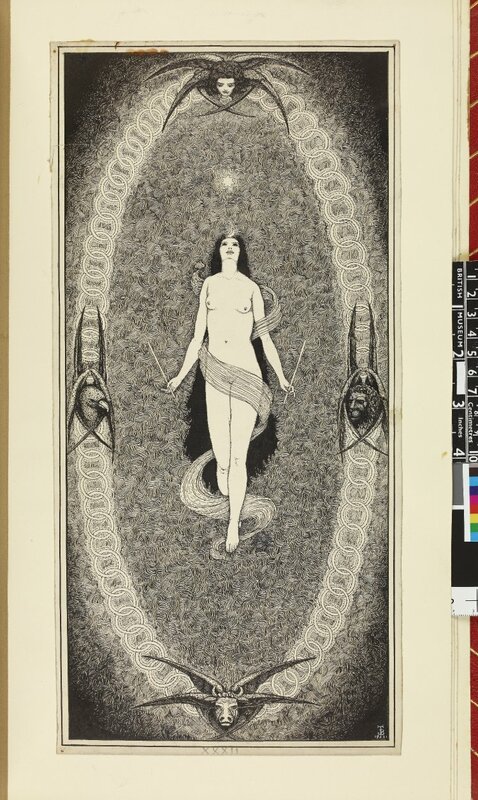 In The Pictorial Key to the Tarot, A.E. Waite described these as the four living creatures who appeared to Ezekiel in the Bible, cherubs who are associated with archangels. There is often some sort of fourth harmonic involved in the image of this card, four figures arranged into a square in the space- just like the meaning of the approaching cardinal grand square, this is the energy that brings form out of the chaos, manifestation of matter out of the fluidity of life. The Sphinx painted above the Wheel in the Waite deck by Pamela Colman Smith (shown above) is a representation of the equilibrium and balance possible to attain within the fluidity and perpetual change of life and the universe represented by the Wheel. All of these symbols suggest a potential to find balance while navigating the chaos of life. It is similar to the idea of chaos theory that aligns so well with astrology in the sense that within chaos theory are the perfect repeating patterns of fractals that are similar to the repeating patterns found within natal birth charts. We can tell from analysis of our chart dynamics when we will be entering time periods of accelerated and intensified energy, and while we may not be able to predict exactly what will occur, we can make ourselves and others aware of the need to focus on self awareness so as to better respond to the stress or disruption we can accurately predict will occur in accordance with the chart patterns. No matter the personal birth chart patterns you have, however, it is safe to say that the month of April 2014 is a time to be ready for. Jupiter is exalted in the sign of Cancer and loves being in the sign of Cancer, which is very fortuitous for us due to the fact that we are entering a portal of extraordinary and unprecedented change in April in connection with eclipses and the cardinal grand square. Just as we can become knocked off the Wheel of Fortune by our emotional, instinctual, habitual reactions that have been conditioned by our culture, society, and early home environment, so can we also use the nurturing quality of Jupiter’s transit through Cancer to cultivate and connect with our deeper, essential nature so that we learn to instinctively and emotionally respond from our authentic self instead of our habitual, societally-conditioned self. Although this may not be part of the original meaning behind Jupiter’s exaltation in Cancer, the exalted nature of Jupiter in the sign of the crustacean makes so much sense to me from the standpoint of Jupiter helping us to eventually expand beyond the limitations of belief conditioning us from birth in our early environment, using the nurturing and empathic capacity of Cancer to help us cultivate deeper self awareness. This is like the molting of crabs, the symbol for Cancer, in which crabs create a new shell for themselves after re-absorbing elements of the old exoskeleton in order to separate the old shell from their skin, creating a new shell in the process. In terms of the connection between Cancer in astrology and the molting of the crab, the shell of the crustacean is like the personality of the soul, a conditioned ego that the soul will expand beyond and generate anew. Keep in mind that the molting of a new shell for crabs is not an instantaneous process- it takes weeks. Similarly, the awareness of our deeper nature we can cultivate, the new embodiment of our authentic self we can step into through both re-absorbtion and elimination of old elements of our personality, is a long process in need of patience and nurturing cultivation. Since Jupiter in Cancer is ruled by the Moon, we can use the fluid lunar cycle to be in the moment, being aware of our moment-to-moment shifts and the illusion of stability we create that is not authentic. Indeed, the true stability and balance is found in the chaos, at the center of the Wheel of Fortune, where the perfect fractal pattern resides we can utilize to attract our true fortune. 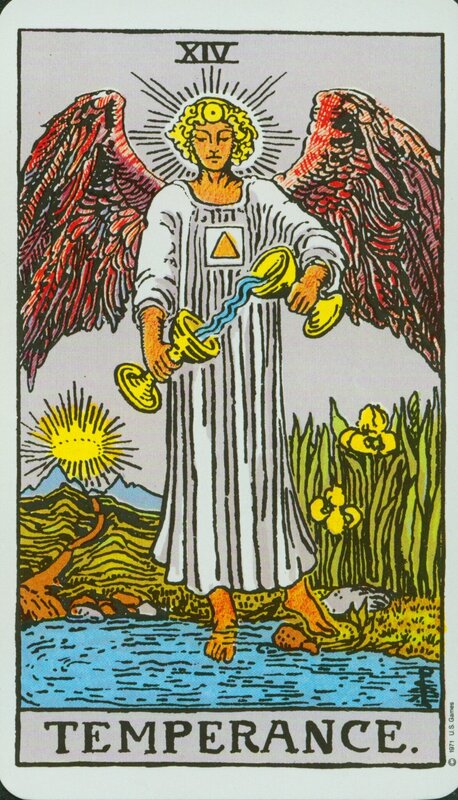 Temperance is the arcanum that is linked to the astrology sign of Sagittarius, meaning in a sense that since Jupiter rules Sagittarius, we can link this card to Jupiter as well as the X WHEEL OF FORTUNE. In the image above painted by Pamela Colman Smith, we see the Archangel Michael, a further link to the Wheel of Fortune card since Michael is one of the four royal stars of Persia (Aldebaran at around 9 Gemini) that are represented in the image by angelic versions of the fixed signs of the zodiac. Fitting for this time of the Aries Equinox, Aldebaran was the traditional Watcher of the East who around 3000 BC marked the Aries Equinox. In traditional astrology Jupiter is the day-time ruler of Sagittarius, distinguishing its co-rulership of Sagittarius and Pisces, as there is a trine between Sagittarius and Leo, the sign of the Sun. Fittingly, in the image above we can see the symbol of the Sun on the forehead of the angel. In connection to Jupiter, the Temperance card reveals the Sagittarian focus on outward experience that expands philosophical understanding of the whole and our place inside of it. But as we expand outward, like the angel stepping onto the earth, we will likewise go into our watery depths and assimilate lost and found elements of our self into a greater embodiment of wholeness. 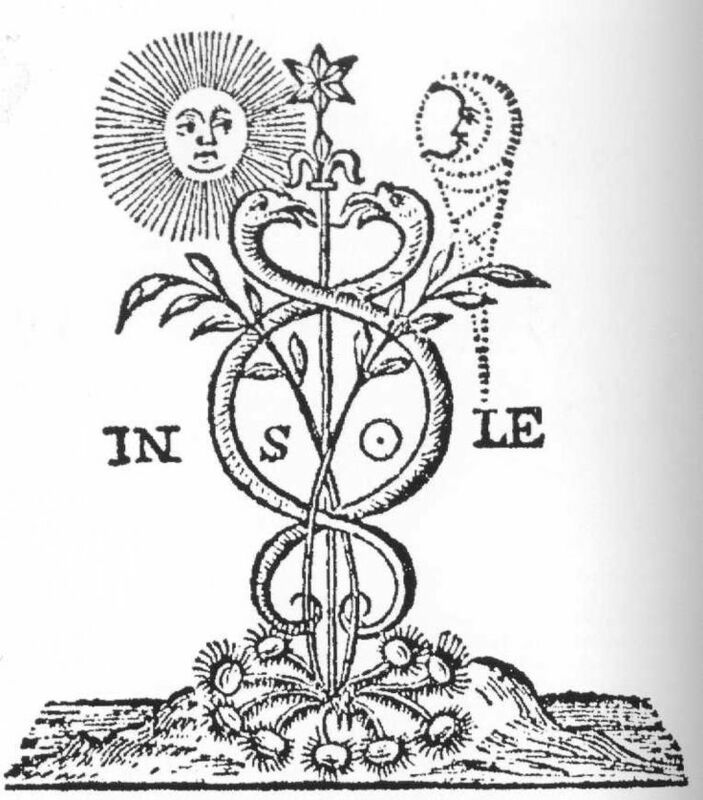 In The Pictorial Key to the Tarot A.E. Waite described this angel as being neither masculine nor feminine, with one foot in the water and one upon earth likewise signifying an embodiment of essence that unifies or transcends duality. One could say this is also similar to unifying our ego and our soul, our personality with our authentic self, just as the angel in the image above is pouring the essence of life from chalice to chalice. 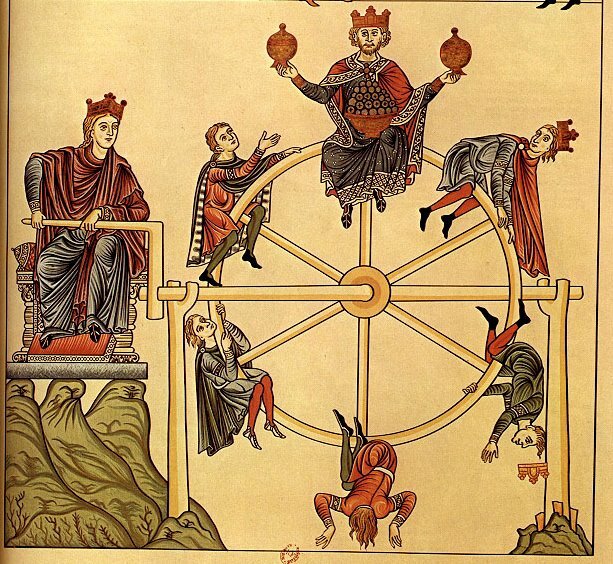 In all, there is much more movement in this image, a suggestion of great fluidity and the perpetual motion of life that connects with Jupiter and The Wheel of Fortune, than may appear at first glance. This arcanum is also known as “Art” in other decks and usually carries an alchemical meaning with it, a tempering and harmonizing of our material and spiritual self, our rational and intuitive mind, our psychic and analytic awareness. In astrology, the archetype of Jupiter can help us expand beyond the confines and limitations of our place of birth and circumstance. As we grow up and develop deeper awareness of our essential nature, many of us realize that we did not grow up in a family or culture that accepted us, understood us, or even saw our authentic self, ever. As a counter-balance to not feeling seen, some of can respond at times with indulgent and excessive behavior that demands attention from our environment, yet is much more of an exaggeration of a false self we developed as a coping strategy than it is behavior aligned with our true soul and self. Jupiter in Cancer being squared by Uranus in Aries especially, but also through its opposition to Pluto in Capricorn, can coincide with sudden insight into what is inauthentic as well as what is authentic, an overwhelming feeling that at the same time has the liberating impact of helping us to eliminate the inessential and alchemize the essential. Part of integrating a deeper authenticity for us will also come from shattering events and reactions that shock us into the realization that what we saw as our stable, fixed personality or behavior was not truly the whole picture. It is likely that all of us on one level or another will soon face this intensity if we are not already- some areas of our planet are obviously feeling the full throttle devastation side to this energy more so than other parts of the globe at this time, but for those privileged to be living in an environment of relative safety and security, the sense of safety and security we have felt through inauthentic aspects of our self will no doubt become imploded and shattered at this time. With all of the stressful aspects to Jupiter in Cancer at this time, especially the square from Uranus in Aries and the opposition to Pluto in Capricorn, difficulties and crises we experience at this time may be necessary for us to re-connect with our authentic self so that we can alchemize a more essential presence in the world through the fire of our experiences. However, there is also a wide trine between Neptune in Pisces to Jupiter in Cancer at the moment, and a closer trine between Jupiter with Chiron in Pisces that will eventually turn into a Grand Water Trine with Jupiter, Chiron, and Saturn in Scorpio in the next couple of months. Furthermore, Mercury transiting through Pisces will be coming into an exact trine with Jupiter in the next week, while Venus will move into Pisces and exactly trine Jupiter in April. These trines to Jupiter reveal a tremendous opportunity for us to nurture our deeper nature and fully incarnate more of our true soul and being into the world at this time. The XVIII MOON of the arcana may not make you immediately think of being ruled by Jupiter, unless you remember that Pisces is the astrology associated with the XVIII MOON card and that Jupiter is the ruler of Pisces in traditional astrology. In traditional astrology, Jupiter is the night-time ruler of Pisces in order to distinguish its co-rulership of Sagittarius and Pisces, as there is a trine between Pisces and Cancer, the sign of the Moon. The Jupiter found in the XVIII MOON is the empathic and sensitive Jupiter who is exalted in the lunar sign of Cancer, who grows through giving and nurturing others as well as the self. Since Jupiter can expand any feeling, however, we must be careful to face and overcome our fears, feeling the delusional nature of any fantasized experiences that appear real so that we can release them with finality at this time. Through the feeling nature of being in the sign of Cancer, the sign of the Moon, Jupiter at this time can help us ground into our environment so that we can initiate action from our authentic nature- if ungrounded, Jupiter can otherwise act from an overly optimistic and hopeful perspective that lacks connection to the action necessary to ensure completion of our deepest desires. The XVIII MOON arcanum has been connected to experiences of confusion and overwhelming emotions, and yet in connection to Jupiter it is necessary for us to go through these experiences to help us connect with our deeper, authentic self that will help us navigate life more effectively. We open to everything here in the collective unconscious, the collective conscious, and our own personal consciousness we only encounter in dreams and moments of dissolution. As a result a huge expansion of a different sort is available to us through Jupiter in the arcana of the Moon, an internal and reflective expansion into our deeper being. 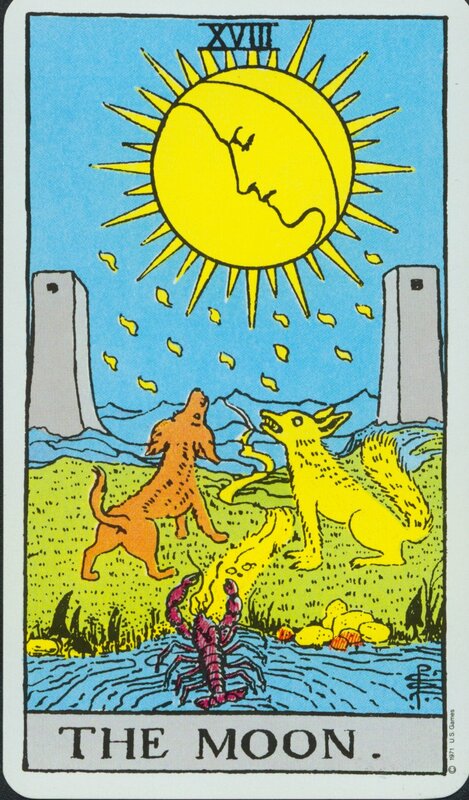 Remember, the Moon arcanum comes after both the XIII DEATH and the XVI TOWER arcana, meaning by this part of our growth and development we have already undergone great death and destruction to our personality and false sense of self. This is similar to me in astrological terms to the fact that although we are coming into intense astrological aspects in the coming month of April, they are not new: in fact, this will be the fifth time since 2012 that Uranus in Aries has been in a square to Pluto in Capricorn, and we have also already experienced repeated squares between Cancer Jupiter and Aries Uranus and Libra Mars. We also have been experiencing a very long and drawn out opposition between Capricorn Pluto and Jupiter in Cancer that has extended through a Venus retrograde cycle, Mercury retrograde cycle, and now a Mars retrograde cycle. This Moon phase of our process is a final dissolution of self before we can connect with our XIX SUN sense of wholeness, authenticity, and self-actualization. The energy of Jupiter in Cancer is capable of lifting us with great resiliency out of any oceanic depths we fall to in our emotional process of this time. If it is necessary to go into the darkness, so be it. On a final note, I want to address Saturn through her connection to the XXI WORLD arcanum, as Saturn in Scorpio has not been receiving as much attention since she stationed retrograde on March 2 (since she is not involved in the cardinal grand square that will be occurring in April). Nonetheless, the fact remains that Saturn is very important to tune into at this time, including where the zodiac degrees of 16 to 24 Scorpio are in your chart. Wherever 24 Scorpio is in your chart, you have about seven months or so until Saturn will return there again to birth a new presence for yourself in that area and aspect of your chart. Saturn will station direct around July 21, 2014 at 17 Scorpio after having formed a Grand Water Trine with Jupiter in Cancer and Chiron in Pisces in May. By the time Saturn stations direct in July, Jupiter will have moved into the sign of Leo (Jupiter will enter Leo on July 16, 2014). Part of Saturn’s movement back through her retrograde shadow will involve a conjunction with transiting Mars in Scorpio in August 2014, no doubt a period of time that will be intense. I love the connection between Saturn and the XXI WORLD card and the image of the dancer- this dancer embodies the Jupiter ideal of being at the center of the Wheel of Fortune, riding the moment in balance, being in the now. Although Saturn in Scorpio has correlated with some hard lessons and difficult experiences, remember that a Phoenix can arise from the ashes of what has burned off of us, and this Phoenix is our real, essential, and shining nature. The third trine between Jupiter and Saturn that we will experience in this disseminating phase in May should finally give us the opportunity to actualize the full depth of our experiences over this past year- to experience completion from this long process akin to the XXI WORLD arcanum. No matter what happens in April, keep your eye on the prize, the full potential of the Grand Water Trine forming in May between Jupiter, Saturn, and Chiron that will give us the opportunity to embody a deeper sense of our true nature in the world than we ever have before. As my wise womyn friend Carol Trasatto said recently, it will be a time to rest in the mystery, to ask to receive what we sincerely need, to be open to trusting that the direction we are pointed toward will take us into our center and our essential self.